An instrumental is a musical composition or recording without lyrics, or singing, although it might include some inarticulate vocals. 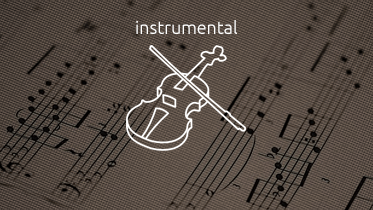 Instrumental music is primarily or exclusively produced by musical instruments. An instrumental can exist in music notation, after it is written by a composer; in the mind of the composer (especially in cases where the composer herself will perform the piece, as in the case of a blues solo guitarist or a folk music fiddle player); as a piece that is performed live by a single instrumentalist or a musical ensemble, which could range in size from a duo or trio to a large Big Band, concert band or orchestra.